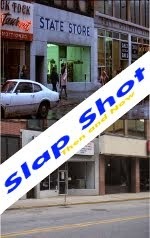 The cities of Johnstown and Youngstown have never played in the same hockey league in their history of having hockey teams. 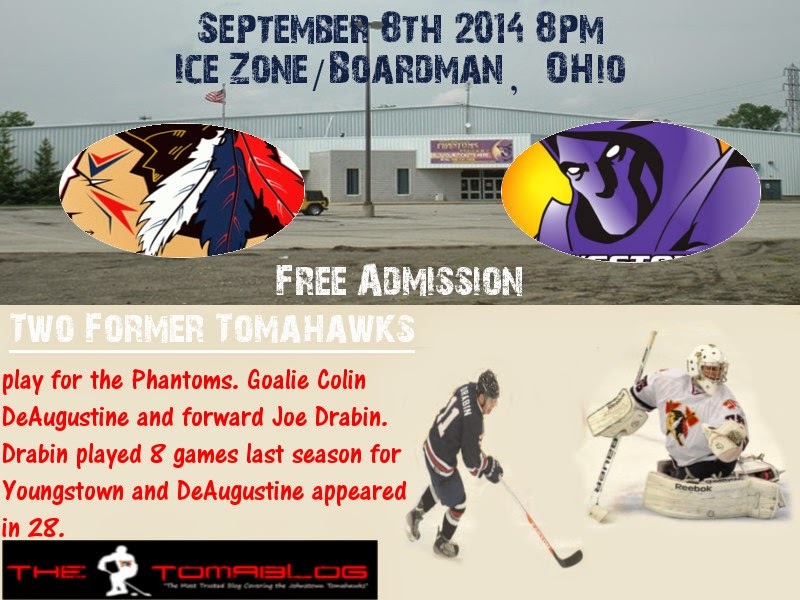 On Monday the Tomahawks will visit the Phantoms and play their last exhibition game of the 2014-2015 preseason. This is the first time these two teams have played a game vs each other but it’s not the first exhibition game vs the two cities. Back when the Johnstown Chiefs were in town and the Youngstown Steelhounds played in the CHL, the two teams played an exhibition game. In that game Johnstown won at the War Memorial Arena by the score of 4-1. So what does that have to do with this Monday’s matchup? Nothing really to be honest, but it is a fun piece of trivia. This is the last tune up for the Tomahawks before the season gets underway vs the Keystone Ice Miners on September 13th. Head coach Mike Letizia hopes that his team will continue building up their speed and conditioning, along with player continuing to build chemistry between linemates. Last weekend vs the Springfield Pics, Johnstown picked up two wins, 6-1, and 4-3. Johnstown was trailing after the first period on Saturday, 1-0, before turning things on in route to a one-sided victory. “It took us a little while to get going in our first exhibition game and a few factors could have played into that”, said head coach Mike Letizia. One of those factors was that it was the first game played vs a different opponent other than teammates during the off-season tryout camps. Another was the nervousness factor of some of the younger, less experienced players adjusting to a higher playing level. New teammates and new systems also all factored into the reasons for a slow start. The good thing? The players adjusted quickly and now look to build on that vs Youngstown. “Playing a team in the USHL will help us get up to the speed we are hoping to be at, and I’m looking for us to prepare and play this one as close to a regular season game as we can at this point”, said Letizia. In yesterday’s blog post (click here to see article) we wrote about how Johnstown playing a higher level team can help the Tomahawks get ready for regular season action and speed better than playing a team in their own league. “Once the game starts everything will be quicker and players will need to react faster”, said Letizia. That’s just something you can recreate in practices (no matter how hard you try). Letizia wants to see his team become more consistent in how they do things on the ice. Work out the kinks and create good habits before the games begin to count. Last season Johnstown made the playoffs by just one point. Johnstown went 0-3-1 in their first four games. A quicker start this year can only help improve their position in the standings at the end of the year. 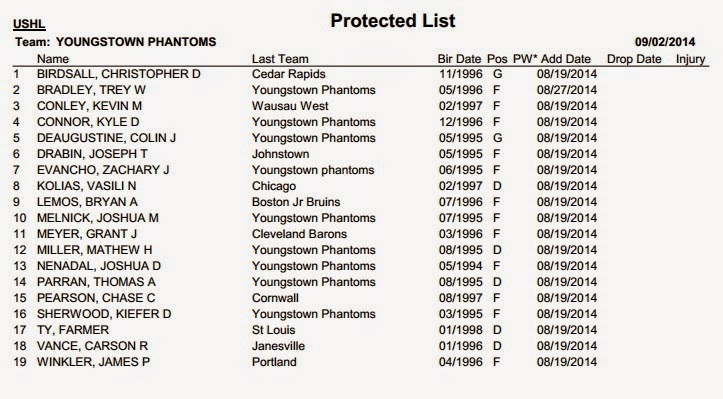 Brett Young is expected to be in net for Johnstown on Monday night. This will be his first start this exhibition season. Bednard and Gwillim each played one game vs Springfield. We look forward to see Zac Robbins and Peter Bates play together, if their line from last Saturday night’s game stay together. Robbins had two goals in the game with both assists coming from Bates. Having played for Team Illinois last season together their chemisty is already there, and it’s pretty fun to watch. Lynch-Romano-Zech were also a line that generated a lot of chances last Saturday and could be a pretty powerful line this upcoming season. This is also a chance for players that didn’t get on the score sheet the first two games to show the coaching staff why they should be in the lineup come opening night. With the game vs Keystone followed by the four games in four days at the NAHL Showcase, this last exhibition vs Youngstown is an opportunity that every player must take advantage of. This is the time to heat up the engines before the train leaves the station for the 2014-2015 NAHL season.